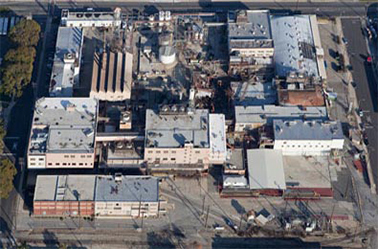 The remediation and demolition of the former Sunkist Orange Processing Facility. The remediation consisted of over 1 million square feet of fire proofing removal, transit panels, and ground remediation. The demolition consisted of the razing of 19 structures along with crushing of over 70,000 tons of concrete which was graded over the entire 14 acre site.